Martin was born and bred in New Zealand. After qualifying as a Physiotherapist in 2005 he worked in New Zealand and Connecticut, U.S.A. before moving to the U.K. Looking for a better climate he moved to Guernsey in 2000 and has been working at Queen’s Road Medical Practice since 2008. Clinically Martin has a broad knowledge of many sports and has a special interest in spinal and chronic pain. He utilises his skills from acupuncture through to manipulation during treatment sessions; and he is also available to carry out ergonomic assessments in the workplace. 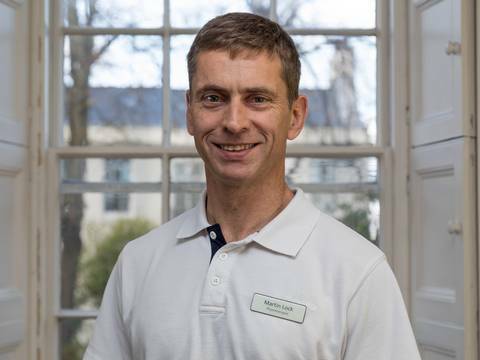 Martin has enjoyed playing rugby and tennis for Guernsey and more recently participating in local triathlon and running events. He particularly enjoys outdoor pursuits from the mountains to the sea.